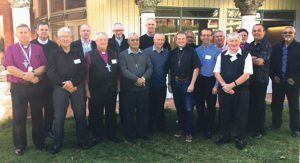 WelCom April 2018: Anglican and Catholic Bishops met last month, at the Home of Compassion in Island Bay, as part of the ongoing commitment to dialogue between the two Churches on issues including homelessness, poverty, trafficking and the environment. 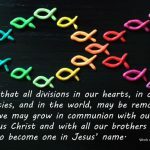 Reflections by Anglican Archbishop Sir David Moxon on Anglican-Roman Catholic Ecumenism including ways to work together in areas of justice, development and peacemaking. 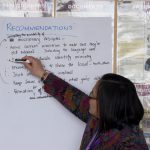 A new approach to Māori Pastoral Care in Aotearoa and the Catholic Archdiocese of Wellington as an example of a new approach to Māori Pastoral Care being implemented. 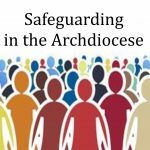 The topic of secularisation tracing the history of secular thought, its philosophical and scientific underpinnings and some of results, both positive and negative, of such changes in mainly Western society. 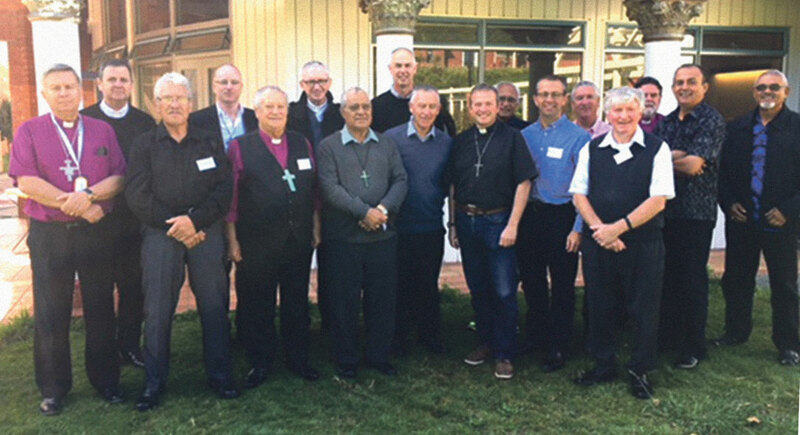 Anglican and Catholic Bishops (l-r): Archbishop Sir David Moxon; Bishops Steve Lowe; Ngārahu Katene; Charles Drennan; Richard Wallace; Patrick Dunn; ‘Afa Vaka; Paul Martin; Cardinal John Dew; Bishops Dr Steven Benford; Colin Campbell; Archbishop Winston Halapua (partly obscured); Bishops Andrew Hedge; Richard Ellena; Archbishop Philip Richardson (obscured); Bishops Gabriel Sharma and Henry Bull.